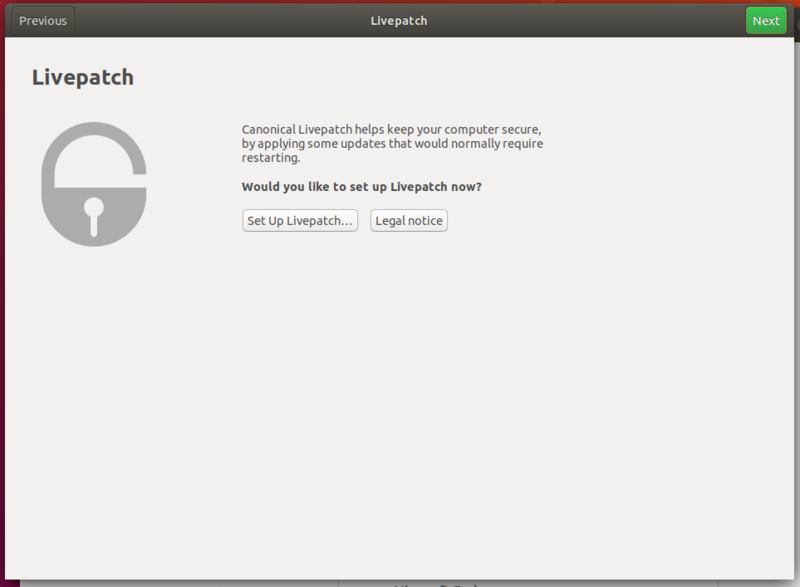 We have one for the ubuntu-report screen, and so a similar implementation on the LivePatch screen would be appropriate here I think. New button added to show data privacy, could be faulty. Hey Andy, could you have a look at doing something similar to the what the "help improve ubuntu" screen is doing? Having a "Legal notice" button that opens that url?